Barry Schwabsky investigates connections between the portrait paintings of Alberto Giacometti and those of Alice Neel. Schwabsky observes: "Although Neel and Giacometti both emerged from a left that was aligned with communism, neither one produced anything in a social-realist vein. It would also be wrong to see their insistence on portraiture as an acceptance of individualism. Both artists approached it as a sort of interpenetration of two (rarely more) 'alonenesses,' to repurpose [Rosalind] Krauss’s word. 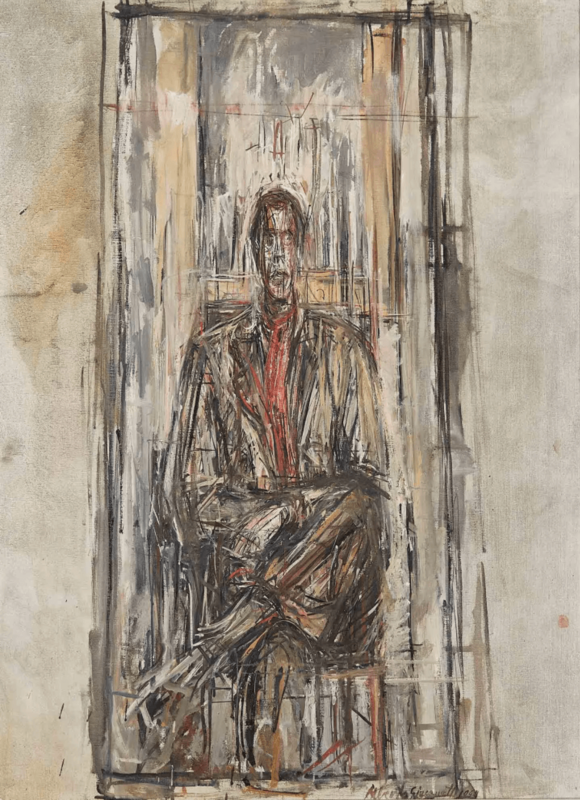 But for Neel, the space between artist and subject did not magnify itself the way it did for Giacometti, threatening to swallow the sitter whole as it sometimes seems to have done in his work. Her people sit at a conversational distance, and the figures take up much more of the frame than Giacometti’s do. They are no less vulnerable than the people Giacometti painted, but Neel is more interested in the particular strategies they invented for circumventing or dissembling their vulnerability than she is in the vulnerability itself, which is universal."